← ‘I’m the youngest I’ll ever be’… a pantoum. I made a soapy sauce for making bubbles to blow in this deep freeze, from dish soap, water, and a Tbl of maple syrup. I made a ‘wand’ from a two cheap bracelets found at World Market that I bent and plied together. 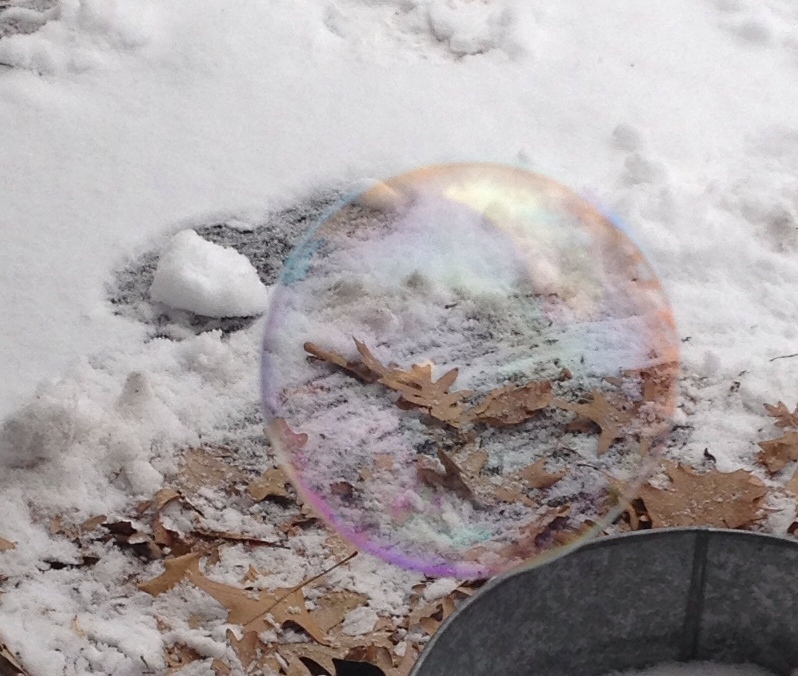 I wanted to see if the bubbles would crystalize when they hit the Arctic air. I saw this process on FaceBook. Yes, FaceBook. So many wonders and horrors can be found there. It was irresistible. I had to do it. 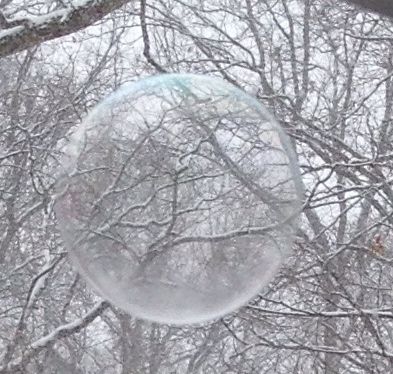 I have many pictures taken from my IPhone of the results of my Bubble making experience, going out in the frigid and trying to be quick to blow the bubble before it froze in the wand. I had varied success. Some of my photos are beautiful. Really spectacular. I could write a poem about all of them. Maybe I will. What a little book it would make. I have shared a couple of these photos with you. They are as they were photographed. I am amazed at the magic of them. Please feel free to share them. ANd… I invite you to try it yourself. Filed under ANN ARBOR, BE HERE NOW, EARTH CHANGES, HAIKU, storm, WINTER. I love it! Wonders of the polar freeze…. thanks Patricia. HOpe you’re enjoy the warmth. I could use some right about now. Tho’ It is beautiful here.